Narcolepsy with cataplexy is characterized by excessive daytime sleepiness, cataplexy, and other REM sleep phenomena. Previous MRI studies were cross-sectional in design and could not adequately address if disease progression leads the brain structural abnormalities in narcolepsy. 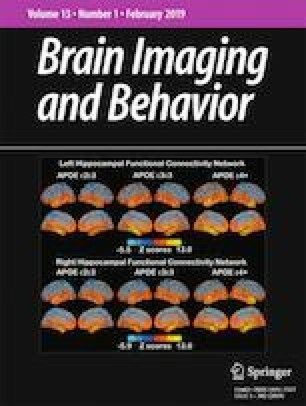 Our analysis in patients using longitudinally collected brain MRIs (n = 17; 2 scans per patient; scan interval: 4.7 ± 1.9 years) revealed widespread progressive cortical thinning in bilateral dorsolateral frontal and fusiform cortices, right anterior cingulate (corrected p < 0.05). Cross-sectional analyses showed faster progressive cortical thinning in patients than controls (n = 83, one scan per subject available), which we confirmed significant in the analysis of a small-set of longitudinal control data (n = 10). The pattern of progressive thinning in patients was overlapped well with those found in structural and functional studies of narcolepsy. We also found a faster progression of cortical thinning and worse disease severity (decreased sleep efficiency, increased sleep latency and arousal index) over time in a subgroup of patients with earlier disease onset (n = 9, onset age: 15.9 ± 2.5 years old) compared to later disease onset (n = 8, 25.3 ± 4.9). The faster progressive cortical thinning and worse disease severity over time in the patients with early-onset suggest compelling evidence of disease progression existing in this phenotype of narcolepsy syndrome. Our result based on a small dataset, however, demands a more careful investigation of the underlying mechanism. The online version of this article ( https://doi.org/10.1007/s11682-018-9981-2) contains supplementary material, which is available to authorized users. The authors would like to thank Dr. Felix Carbonell for his consultation and advice in statistical analysis. This study was supported by the Basic Science Research Program through the National Research Foundation of Korea, which is funded by the Ministry of Science, ICT & Future Planning, Republic of Korea (2014R1A1A3049510), by Samsung Biomedical Research Institute grant (SMO1162071), by Donald E. and Delia B. Baxter Foundation Fellowship Awards, by a grant from Canadian Institute of Health Research (CIHR) awarded to Professor Alan C. Evans (201085 & 247003). Dr. Seun Jeon is the recipient of following fellowships that contribute to his support: Bourse Fonds de Recherche Santé Québec (FRQS, dossier 34240 & 259605) and by Jeanne Timmins Costello Fellowship of the Montreal Neurological Institute (240522). Seun Jeon performed image processing, statistical analyses, interpretation of data, figure making, and wrote the manuscript. Jae Wook Cho contributed in interpretation of data. Hosung Kim contributed in designing the study, supervised the study, and performed critical revision of the manuscript. Alan C. Evans supervised the study. Seung Bong Hong acquired data. Eun Yeon Joo contributed in designing the study, supervised the study and performed acquisition of the data. This was not an industry supported study. The authors have no commercial, financial, or other relationship related to the subject of this paper that could constitute or suggest a conflict of interest. All procedures performed in studies involving human participants were in accordance with the ethical standards of the Institutional Review Board of the Samsung Medical Center.